When reading through various diets you can probably see glycemic index mentioned here and there. What is it? Does it matter? Generally it doesn’t and shouldn’t play a major role in building your diet. For some people though, glycemic index can be a helpful dietary compas. 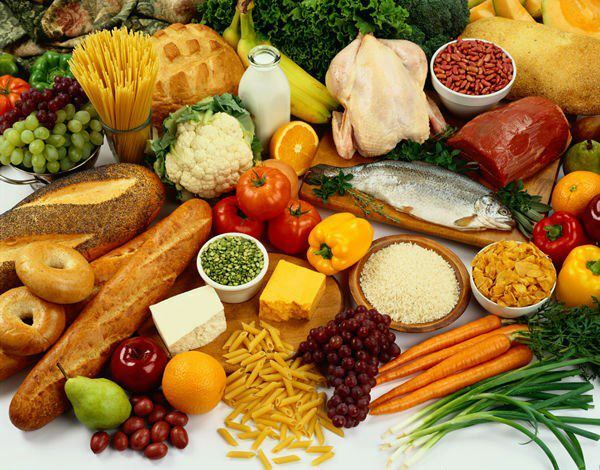 What Is Glycemic Index and How To Use It? What is it? Glycemic index is a number assigned to foods to indicate how they affect blood sugar. Certain foods have high glycemic index (GI) meaning they affect blood sugar in a much more significant way than other foods that have medium, low, or very low GI. The latter two leave the blood sugar in a stable state. As you probably deduced, low GI foods are those that are generally considered healthier like greens, fruit, legumes, sweet potatoes. High GI foods are refined foods like white rice, bread, and potatoes. When mixed with protein, fat, and fiber high GI foods may not affect blood sugar as much as they would when consumed alone. When you should care. People who suffer from diabetes are definitely supposed to eat low GI foods to keep their blood sugar level stable to avoid any health complications and manage their disease. Any food that spikes insulin is bad for diabetics that’s why their treatment often includes a low-medium GI diet. If you’re a beginner and want to design your own diet to suit your needs and goals considering GI of foods can still be helpful, especially if you are a flexible dieter. It can be quite hard to lose weight on high GI foods only, especially if you’re in a calorie deficit because the constant sugar spikes and crashes will most probably leave you hungry throughout the day even if the deficit is moderate or slight. That’s why it’s a great idea to build your diet around medium-low GI foods and keep foods with high GI as a treat or a significantly smaller portion of your daily calorie intake. Besides these are often more processed foods stripped from their healthy nutrients so eating more natural and fresh foods will make your diet more nutritious. When you should not care. Well, healthy lifestyle adepts will tell you that you should not eat anything processed or refined ever, including white potato, which is neither but it’s high GI and it makes you fat. But if you are eating lots of greens, veggies, and fruit, your diet isn’t very restrictive, and you don’t have any health complications then you don’t even have to think about what GI numbers all the foods in the world have. The bottom line is, glycemic index isn’t a primary tool of dieting. If you don’t count calories and macros it could be a way for you to control what you eat but generally it doesn’t play as much a significant role and is most helpful for people with diabetes. This entry was posted in Nutrition and tagged diet. Bookmark the permalink.